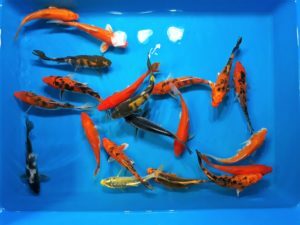 Assorted Select 3 inch Utsuri Free Shipping! 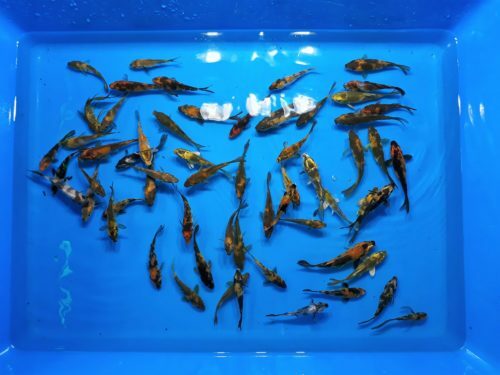 These fish represent the highest grade of fish commercially produced at 168 Koi. 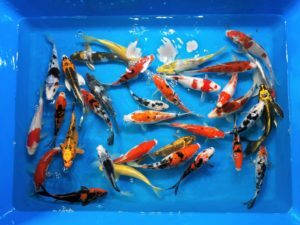 They contain all the qualities possessed in the import varieties including great conformation, color and pattern. 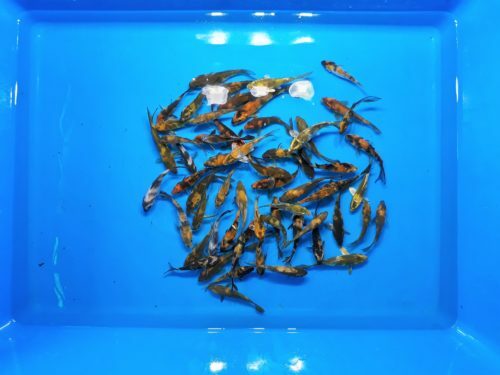 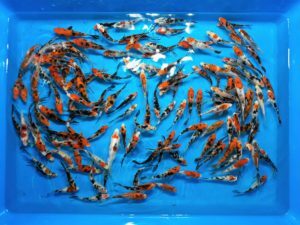 Assorted Premium 6 inch Koi Free Shipping! 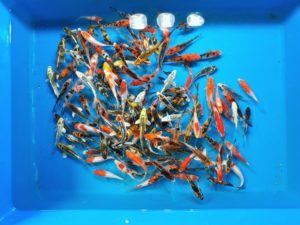 Assorted Select 3 inch Sanke Free Shipping! 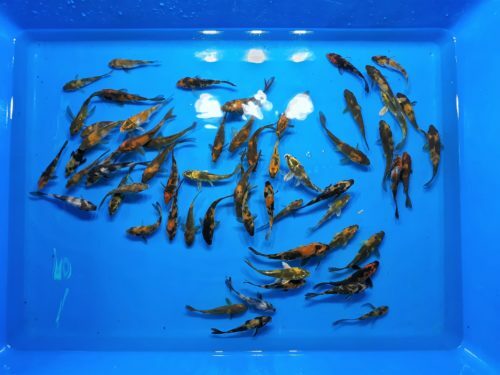 Assorted Pond 7 inch Koi Free Shipping!